With more than two decades of experience as a venture investor and corporate board member, Jean-Jacques Degroof teaches and mentors entrepreneurs throughout Europe. As part of his advisory activities, Jean-Jacques Degroof served as a member of the advisory board of the Charité Entrepreneurship Summit from 2013 to 2015. He has took part in the conference, which promotes entrepreneurial advances in the biomedical sector, since 2012. 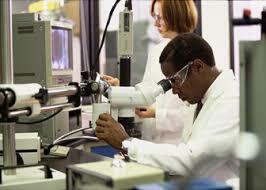 Biomedical science is a broad area of study that merges biology and medicine to improve the health of people and animals. Biomedical research is responsible for many of the newest, most successful medical treatments for diseases such as AIDS and cancer. Biomedical engineering combines the tools and techniques of multiple engineering fields with biomedical science to solve healthcare challenges. This has resulted in innovations such as artificial hips, pacemakers, and 3-D printing of biological organs. Through ongoing biomedical research and engineering, science continues to make great gains in tissue and stem cell engineering, orthopedic implants, medical imaging, and many other areas of healthcare. A former fellow of the MIT Sloan School of Management, Jean-Jacques Degroof is an entrepreneur and venture investor with more than two decades of experience in Europe and the United States. Jean-Jacques Degroof completed postdoctoral studies at the Center for Business and Government at Harvard University's John F. Kennedy School of Government, where he focused on overcoming inefficient entrepreneurial infrastructure for academic ventures. The Mossavar-Rahmani Center for Business & Government traces its roots to 1978, when John Dunlop, a professor at Lamont University, laid the groundwork for the center in a series of papers and essays. Dunlop's writing explored the relationship between government and business, and proposed dedicating more resources to the study of business-government relations at the Business School and the Kennedy School. Dunlop published the book, Business and Public Policy, in 1980. Dunlop's vision was met with that of Harvard President Derek Bok and Dean Graham Allison, who also sought a revitalized Kennedy School. When Harvard alumnus and donor Frank Weil recruited Winthrop Knowlton as director, the final piece of the puzzle fell in place. The Center for Business & Government was officially founded in 1982. It was renamed the Mossavar-Rahmani Center for Business & Government in 2005. A fellow of the MIT Sloan School of Management, Jean-Jacques Degroof has extensive experience in international business ventures. One of Jean-Jacques Degroof’s early investments was Zipcar. 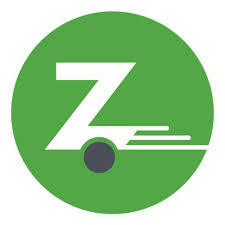 The car-sharing network Zipcar is an innovative company at the forefront of revolutionizing how people use transport. Its members get access to cars on-demand, allowing them to drive whenever they want wherever they are, without having to own vehicles themselves. All someone has to do to join the network is simply apply online. Once approval is granted, the applicant will receive a Zipcard by mail. With this, the person can activate Zipcar on a smartphone, book a nearby car, unlock it by tapping the card onto a reader on the windshield, get in, and drive. But Zipcar is doing more than just changing how people travel. It is also helping them save on costs while making the world greener. Thanks to Zipcar’s affordable rates, members save an average of $600 a month over car owners. In addition, every Zipcar is estimated to take 13 personally owned vehicles off the street. Zipcar members also drive 5,500 miles less per year, saving 32 million gallons of oil. That means less greenhouse gas emissions and cleaner air. MIT Sloan School of Management fellow Jean-Jacques Degroof has more than three decades of experience in venture capital. 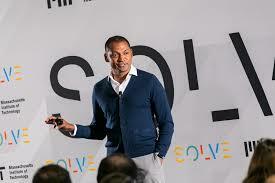 Heavily involved in MIT initiatives, Jean-Jacques Degroof is a member of MIT Solve. Solve challenges innovators and entrepreneurs to seek new solutions to the problems facing humanity. One of these relates to the uncertain future of work. Advances in technology, from artificial intelligence to automation, are transforming how work is performed on factory floors, equity-trading desks, and even farms. These advances will displace people from their current positions and squeeze wages for other workers. However, all is not lost. Many believe that these transformations will also create new jobs and unleash the creative potential of humanity. In the future, there will be a need for continuous learning, as more people are forced to reskill and find new roles. Solve seeks to support innovators who have developed tech-based solutions that will ensure no one gets left behind in tomorrow’s workforce. The community opened submissions from companies that offer paths to reskill and retrain employees, develop inclusive platforms for temporary and freelance workers, and include disenfranchised groups while creating new technologies and jobs. These submissions will be judged by a group of renowned professionals chaired by World Bank President Jim Yong Kim. Eventual winners will receive grant funding to pursue these goals. An investment management professional with a wealth of experience in the academic sector, Jean-Jacques Degroof regularly lectures at a range of international colleges and universities. A graduate of the Massachusetts Institute of Technology, he also spent five years as an affiliate researcher with the MIT Industrial Performance Center. Jean-Jacques Degroof stays up to date with the latest activities at MIT that relate to technology and entrepreneurship. A program of the MIT International Science and Technology Initiatives (MISTI), Global Startup Labs (GSL) recently entered its 18th year of international operation. GSL recruits and trains MIT undergrads and graduate students to teach mobile app development and nurture technological development among emerging student entrepreneurs around the world. In 2018, GSL formally partnered with the Martin Trust Center for Entrepreneurship and the MIT Legatum Center for Development and Entrepreneurship to provide predeparture training and develop program strategy, respectively. In the summer of 2019, GSL volunteers will educate young tech leaders in the countries of Mexico, Germany, Belgium, Brazil, Georgia, Nepal, Ghana, Uganda, and South Africa. An entrepreneur in the finance sector, Jean-Jacques Degroof has years of experience in the development, growth, and leadership of business ventures related to asset management. In addition to his entrepreneurial pursuits, Jean-Jacques Degroof has worked in a teaching capacity at business schools located around the world, including a role as a teaching assistant at the Massachusetts Institute of Technology (MIT). 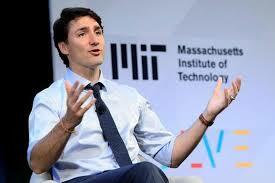 Earlier this year, MIT hosted Canadian Prime Minister Justin Trudeau at its annual flagship meeting for Solve at MIT, an initiative geared toward the development and dissemination of technology-based solutions to global issues. In his speech to the gathered crowd, Trudeau spoke of the importance of embracing the changes brought about by global diversity and technological innovation, rather than adhering to outdated practices and giving in to fear. The prime minister had previously expressed support for technological development and the sweeping changes it was sure to bring at other major tech events, including Google’s 2017 Go North event, held in Toronto. At this appearance, he spoke of his intention to lead Canada toward a future where the government invests in programs like artificial intelligence, robotics, and other “groundbreaking areas.” Above all, he means to encourage entrepreneurship in his country. Luckily, it appears that the values Trudeau championed at MIT and Google are moving forward in 2018. He was recently celebrated alongside President of France Emmanuel Macron for entering into a partnership to study inclusive and ethical AI practices. The holder of a master’s degree and a PhD from MIT, Jean-Jacques Degroof was a fellow at its Sloan School of Management. A venture investor and teacher, Jean-Jacques Degroof supports MIT’s Aging Brain Initiative and research connected to Alzheimer’s disease. In May 2018, MIT neuroscientists published a study about the role of the APOE4 gene in Alzheimer’s. APOE is a gene that comes in three variants: 2, 3, and 4. For a long time, the APOE4 variant had been linked to late-onset Alzheimer’s, with people with the gene recording a higher risk of developing the disease. In fact, it has been documented that APOE4 is three times more prevalent in patients with Alzheimer’s than in the rest of the population. Despite the link between the gene and the disease, the causative role for this relationship was unknown. The study by MIT neuroscientists sought to shed light on this link. Researchers stimulated stem cells extracted from human skin to create three different brain cells: neurons, microglia, and astrocytes. They then edited the human-derived stem cells’ genes to convert APOE3 into APOE4. The results were studied for their differences. 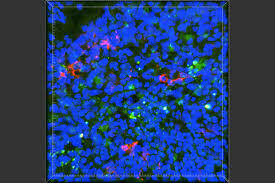 Researchers discovered that cells with APOE4 differed from those with APOE3 in gene expressions. These changes resulted in differentiated cell behavior. For example, neurons with APOE4 secreted more amyloid proteins, astrocytes with APOE4 produced two times more cholesterol than those with APOE3, and microglia, which function to remove foreign matter and amyloid proteins, were significantly slower when APOE4 was present. All these contribute to a higher risk factor for Alzheimer’s. An educator and mentor, Jean-Jacques Degroof was a Sloan Fellow at MIT Sloan School of Management. A venture capitalist, Jean-Jacques Degroof supports MIT’s Global Startup Labs (GSL) initiative and was instrumental in organizing a 2018 program in Belgium. GSL empowers entrepreneurs studying in partner universities with the technical information they need for the growth of their information and communication technologies. GSL develops a resourceful curriculum focused on startup growth, then recruits, trains, and funds top MIT student instructors to deliver the technical curriculum in the partner institutions. It also develops supportive software technologies and networks to enable participants to fully engage in the learning program. Since its inception in Kenya, the program has now been offered in 22 countries, including Brazil, Ghana, India, Mauritius, the Philippines, and South Africa. Over 60 GSL programs have been delivered so far to over 2,750 entrepreneur participants globally. The program’s components have also grown to include business competitions, networking events, guest lectures, and demo days. An accomplished entrepreneur and venture investor, Jean-Jacques Degroof lectures at business schools across Europe and the United States. An alumnus of the MIT Sloan School of Management, Jean-Jacques Degroof stays involved with the Martin Trust Center for MIT Entrepreneurship. The Martin Trust Center for MIT Entrepreneurship presents students with the opportunity to advance their entrepreneurial knowledge and acquire the necessary skills to establish their own companies. 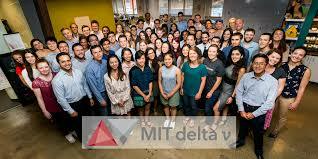 On September 8, 2018, MIT showcased its most passionate entrepreneurs and their companies at delta v Demo Day. During the event, 25 teams from 16 industries pitched startup ideas that they developed over the summer at the delta v accelerator. At Demo Day, the students presented to an audience that included investors, alumni, and the media. The startups addressed a wide range of important issues and societal challenges, including those related to mental health, cybersecurity, and urbanization. Among the business concepts presented were Buddy, a digitized mental wellness trainer, and Hippo, a text-based application for managing professional and personal relationships. With a master's and PhD from the Massachusetts Institute of Technology Sloan School of Management, Jean-Jacques Degroof has served in a number of educational and executive roles across the globe. Philanthropically, Jean-Jacques Degroof has a keen interest in entrepreneurship education, notably at the intersection of technology, entrepreneurship, and the arts, and in issues related to ageing. To that end, he has supported a number of MIT programs and initiatives, including a research project exploring factors related to Alzheimer’s disease. Neuroscientists at MIT recently completed a study exploring the way two genes affect the risk for developing Alzheimer’s disease. The genes, APOE4 and APOE3, are involved in metabolism and the transport of fatty molecules such as cholesterol throughout the body. Though only about 12 percent of people have the APOE4 gene, researchers have found that 37 percent of late onset Alzheimer’s patients share the gene. The MIT study investigated how APOE4 affected the body. Researchers found that its presence contributes significantly to the accumulation of the proteins that lead to the formation of plaques found in the brains of Alzheimer’s patients. By editing the gene into the APOE3 variant in stem cells, the accumulation of proteins decreased significantly. Why the gene increases the risk for Alzheimer’s disease remains unknown, but the study, led by Li-Huei Tsai, the director of the MIT Picower Institute for Learning and Memory, reveals potential for future targeted treatments.